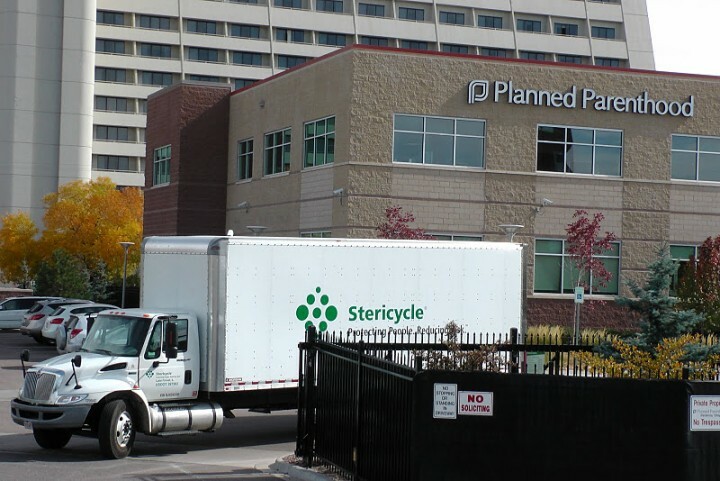 CINCINNATI, Ohio — A federal judge has temporarily blocked the attorney general of Ohio from taking legal action against the abortion giant Planned Parenthood in order to stop the organization from having the bodies of aborted babies picked up by medical waste companies to be steam-treated or incinerated, and then dumped in landfills. Accu Medical Waste Service, Inc. in Marietta had been serving the Cincinnati and Columbus Planned Parenthood locations, and had transported the containers of aborted babies to its steam plant where they were autoclaved and then trucked to a landfill in Kentucky. The company severed its ties with the abortion industry last week due to “adverse attention” over the matter. Corporate representatives of Stericycle had claimed to DeWine’s office during the investigation that the company does not accept fetal remains for disposal. The medical waste giant is facing possible fines in South Carolina for likewise disposing of aborted babies in a landfill. Stericycle was fined $42,000 in Texas in 2011 for doing so. As DeWine said that he planned to file for an injunction in court to require that Planned Parenthood cease disposing of aborted babies in autoclaves, incineration plants and landfills, Planned Parenthood subsequently filed for a restraining order against any legal action on Sunday. It said that it believes its disposal arrangements are humane. On Tuesday, U.S. District Court Judge Edmund Sargus granted a 28-day temporary injunction, stating that the wording of the law might be too vague and that Planned Parenthood could face “irreparable harm” if a lawsuit was filed by the state. A hearing is set over the matter on Jan. 4. “We will continue to fight back against these political attacks every step of the way and our doors will remain open to all Ohioans, no matter what,” Jerry Lawson, CEO of Planned Parenthood Southwest Ohio, said in a statement. DeWine said that the injunction is simply procedural and is not indicative of the merits of the law. “They did not address the central issue of whether the disposal practices of Planned Parenthood were humane,” he said in a statement. In the meantime, Ohio lawmakers are considering crafting legislation that would require aborted babies to be either cremated or buried just like every deceased person.